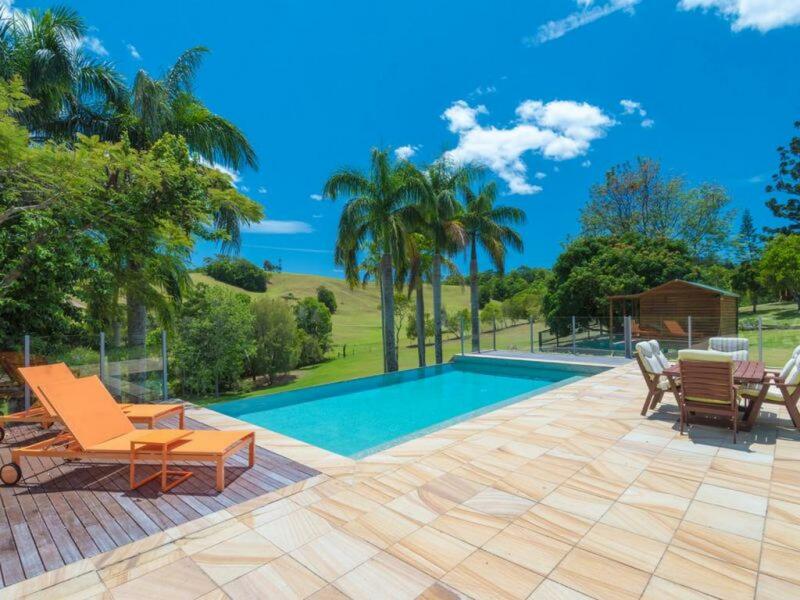 Comfortable luxury amongst natural beauty. 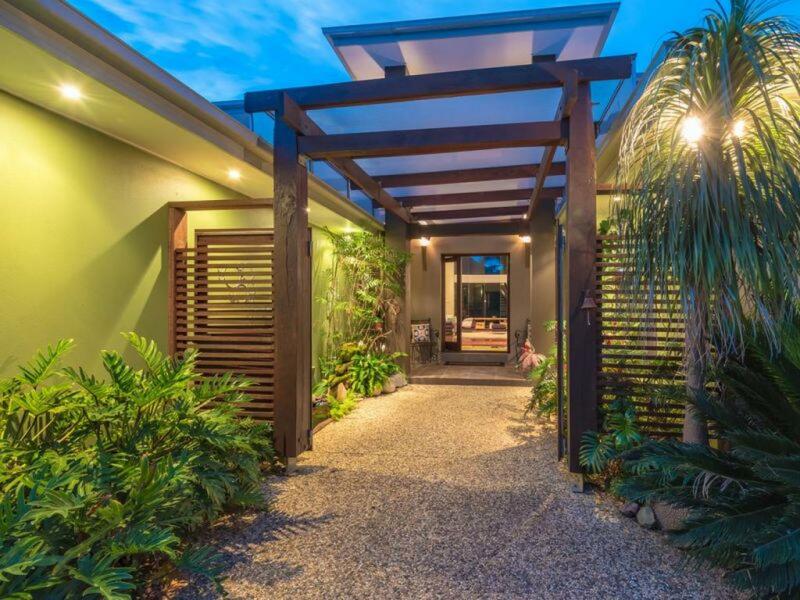 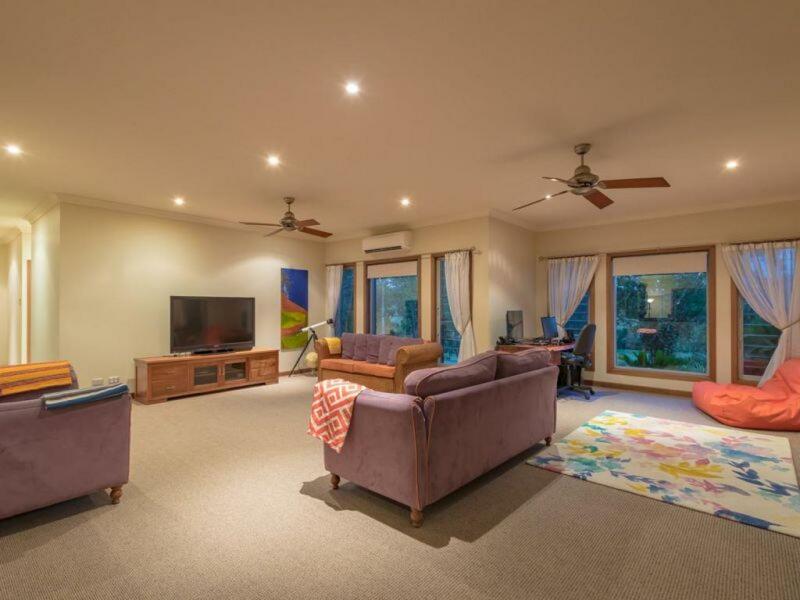 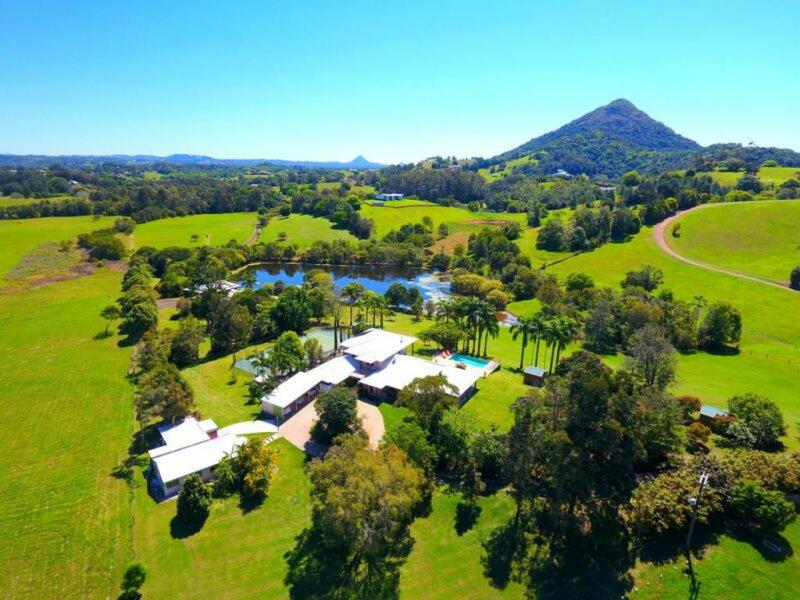 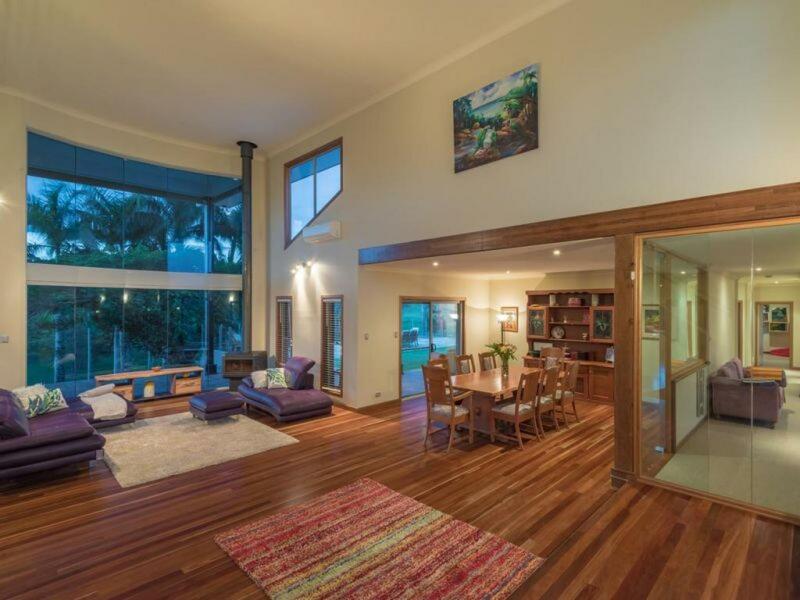 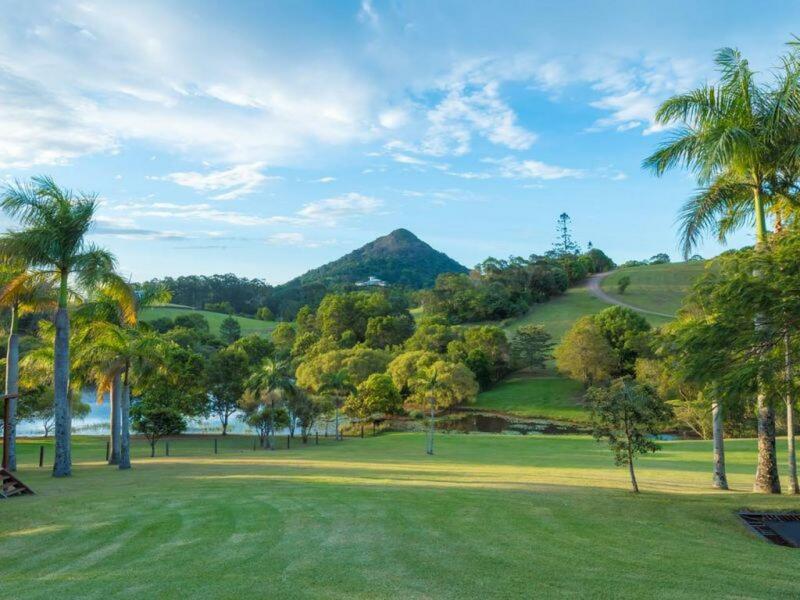 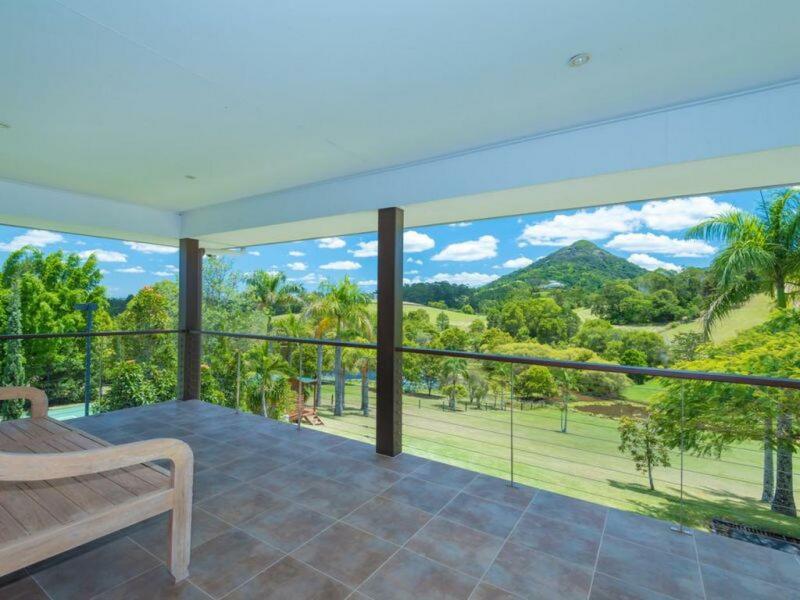 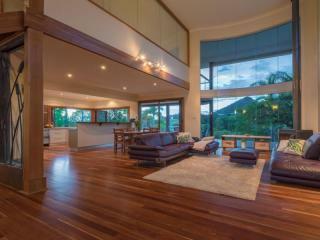 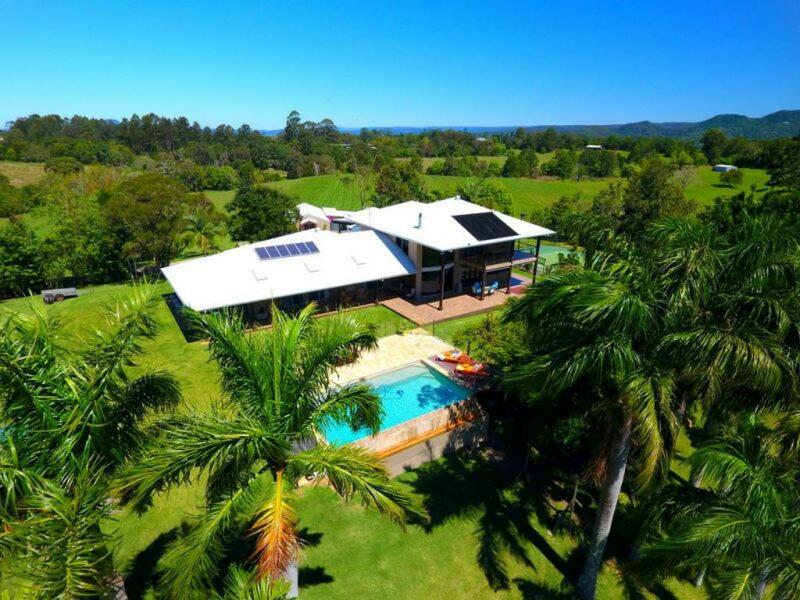 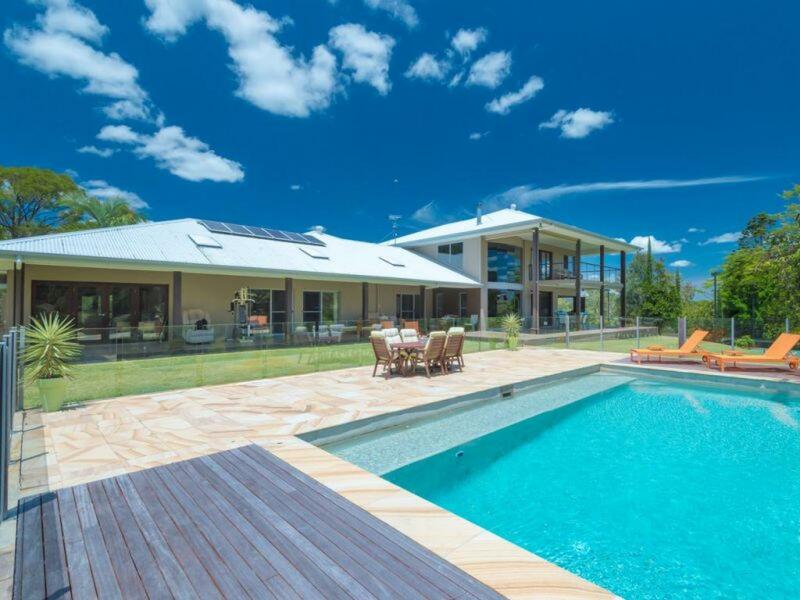 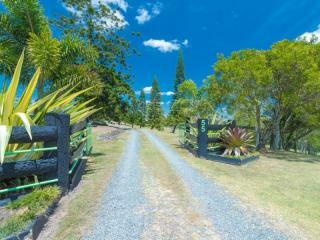 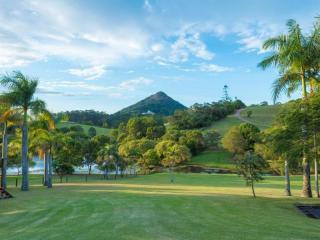 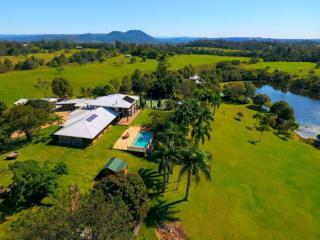 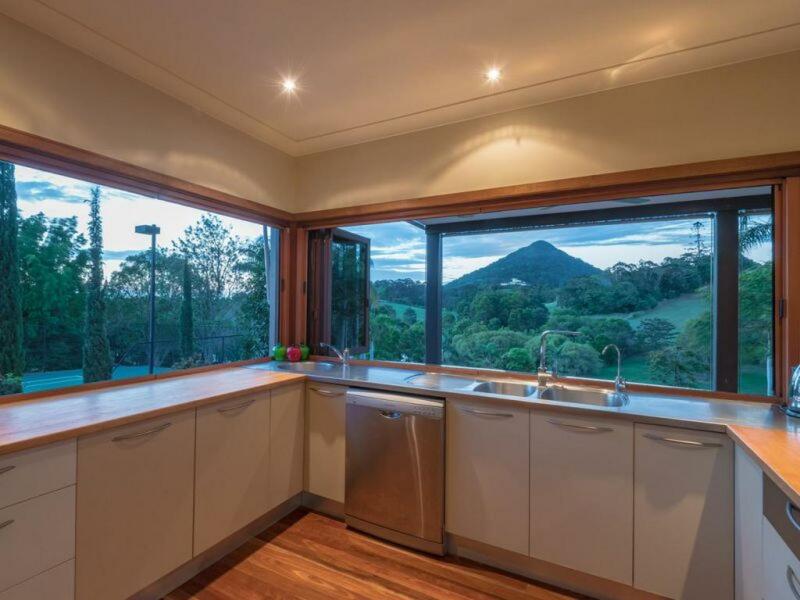 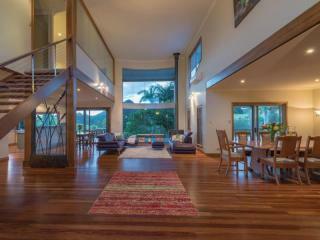 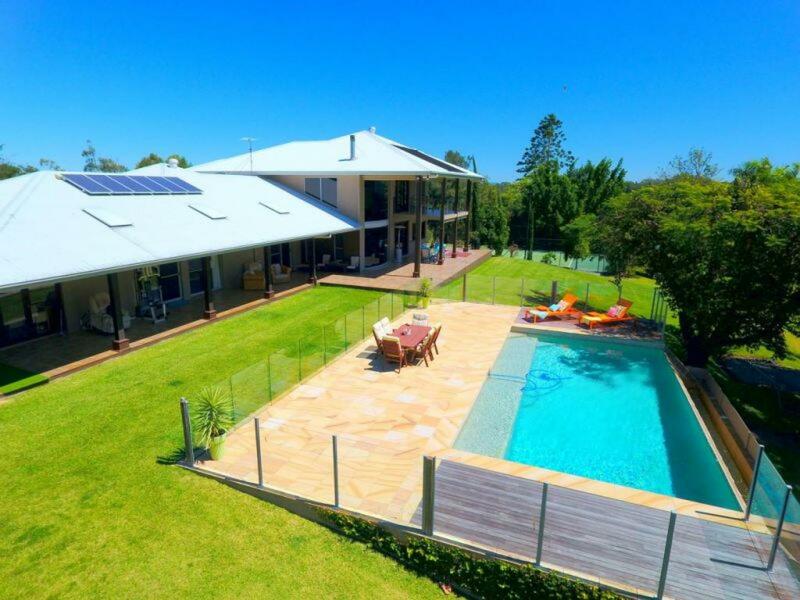 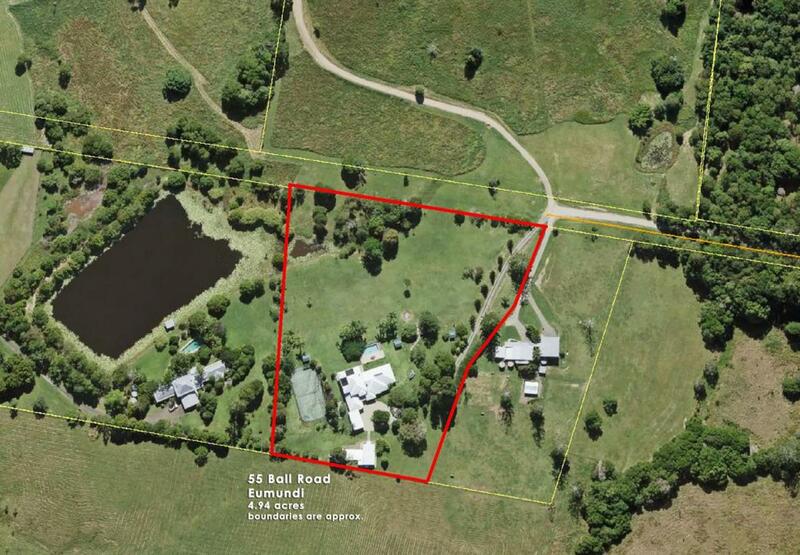 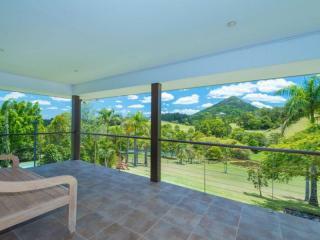 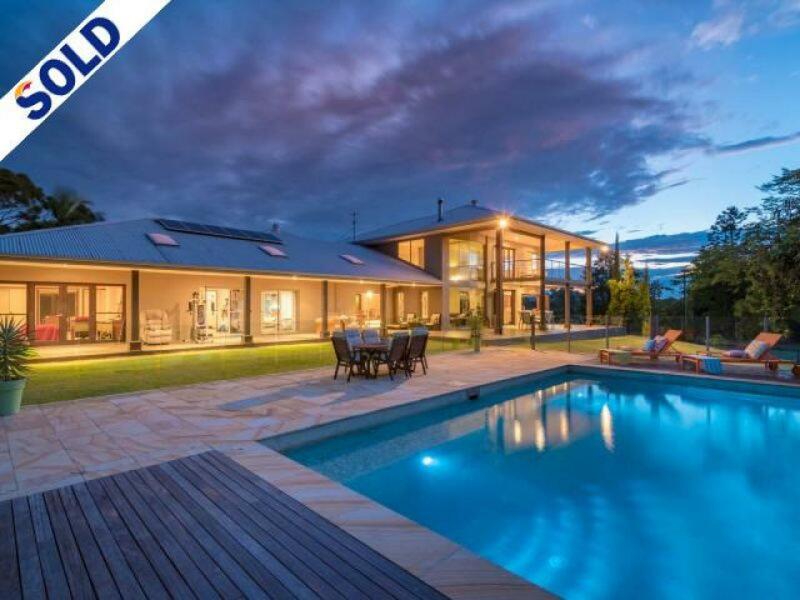 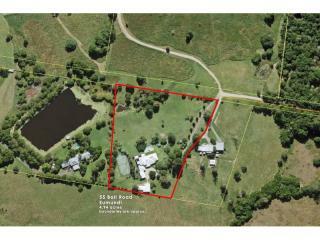 This truly is blue chip real estate in Noosa's hinterland, being so close to Mount Cooroy you could almost touch it, 55 Ball Rd, Eumundi is now for sale. 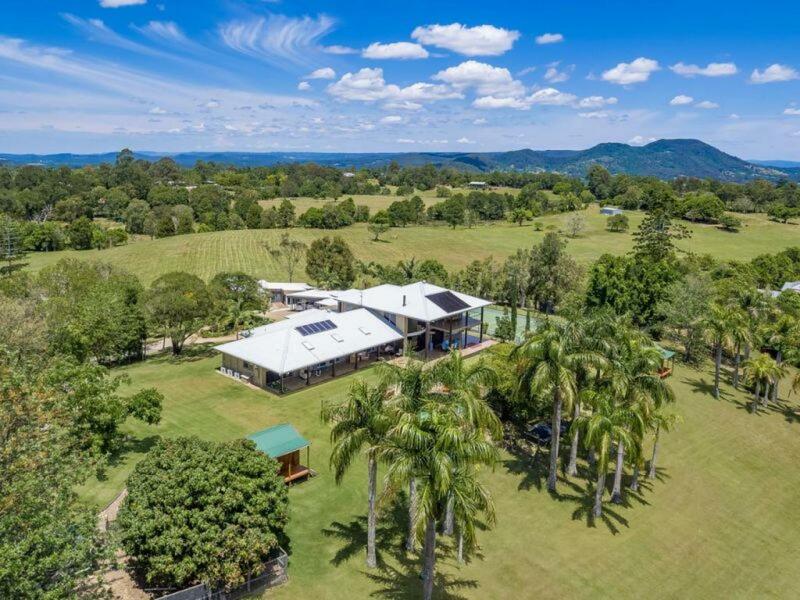 The quality home has a commanding position on 4.94 acres with a definite relaxed feel, big open living areas and plenty of interesting spaces that embrace natural light and the superb views from every angle. A magnificent entry reveals beautiful hardwood floors that flow to greet a vaulted wall of floor to ceiling windows that capture the homes focus to the infamous mountain landmark with lush rolling hills and large sparkling dam in the forefront. 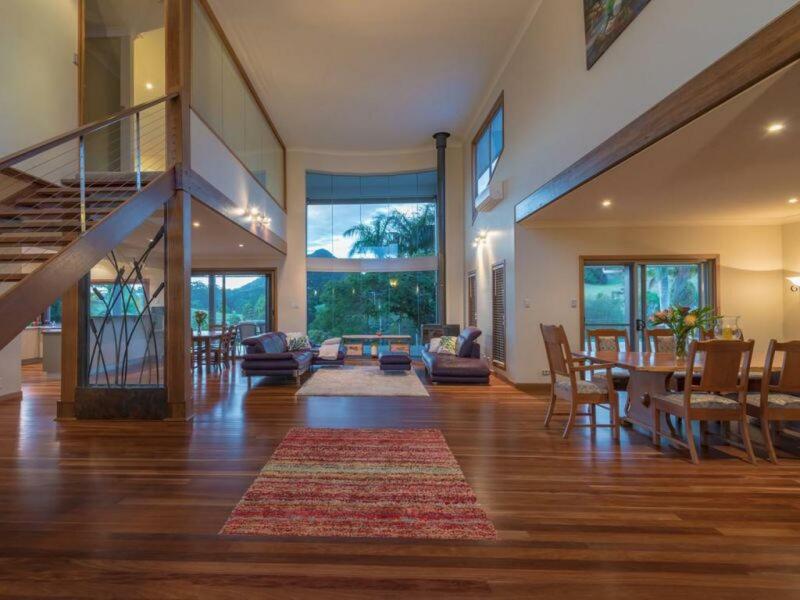 Whilst timber accents continue throughout the home they also combine with modern features to create a wonderful synergy of styles that really work. 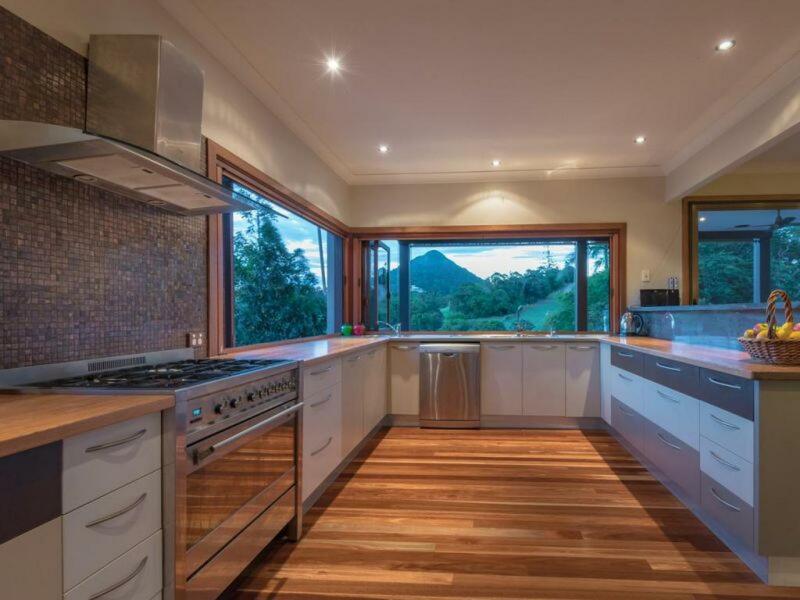 Central to the action is the idyllic kitchen with a blend of textures that provide function and flair plus bi fold windows to connect seamlessly with the outdoor entertaining area. 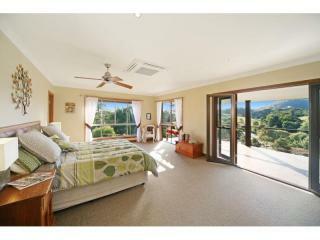 The main bedroom suite takes pride and place on its own level with private balcony and decadent ensuite to enjoy. 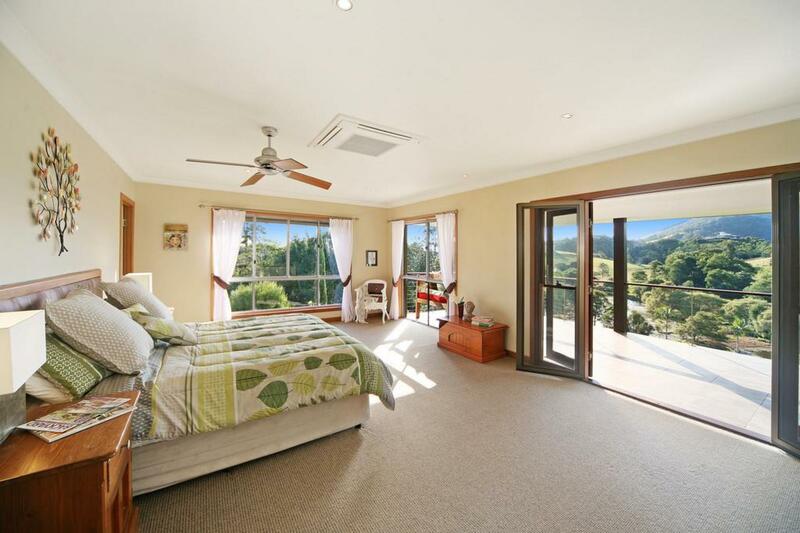 A bedroom wing houses 3 super large bedrooms with modern bathroom, plus a large carpeted lounge area with built in speakers, this area has been sound proofed. 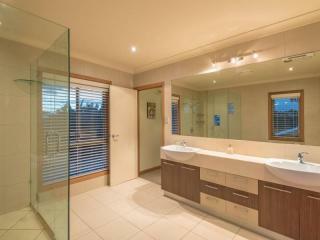 Whilst at the other end of the house is another bedroom and big home office/study area and powder room for guests. 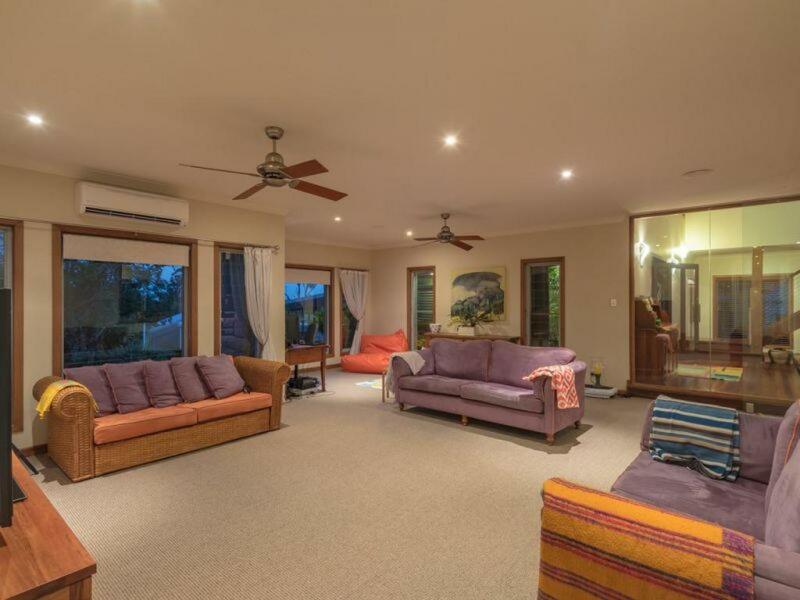 The home is air conditioned via split systems due to its size and has a wood combustion stove for a cosy feel on those cooler evenings. 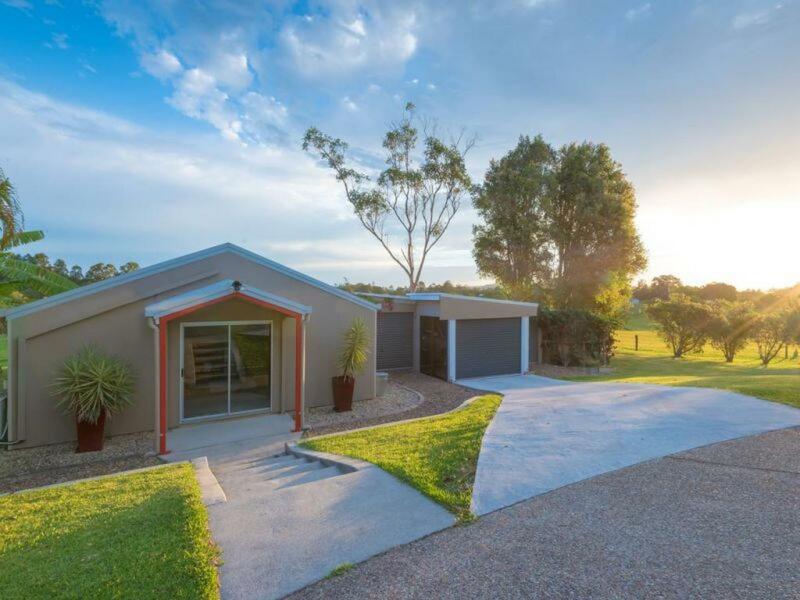 On the other side of the concrete circular driveway is a fully lined steel framed shed which could be easily converted to a liveable dwelling with some creative adjustments. 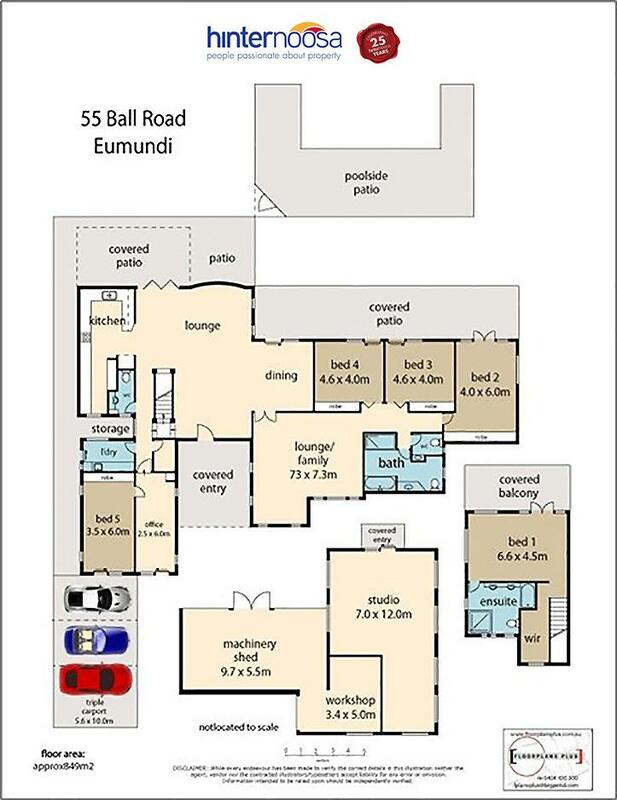 A 3 bay garage adjoining this with plenty of room for a workshop and another lockable car space completes the picture. 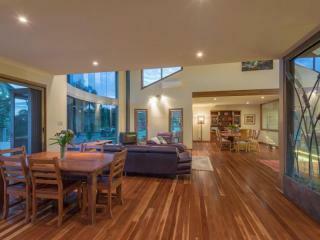 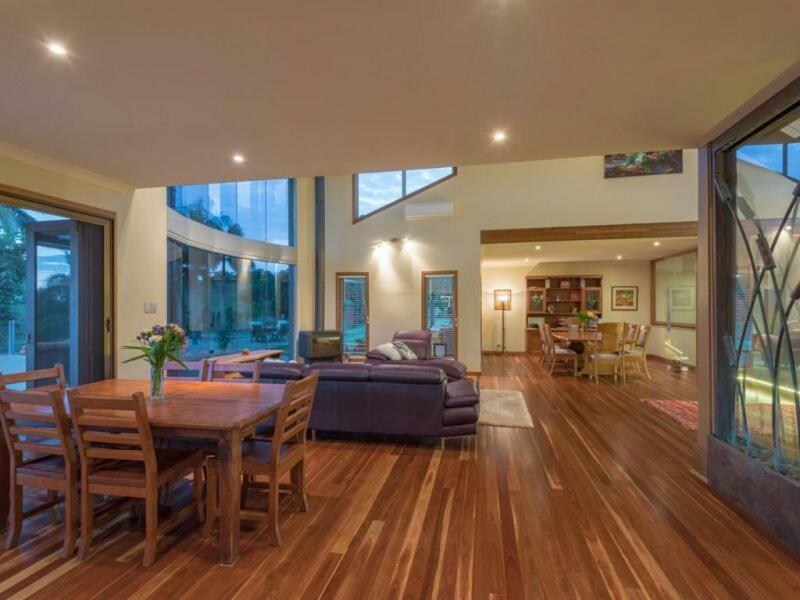 The many features of this property just go on and on. 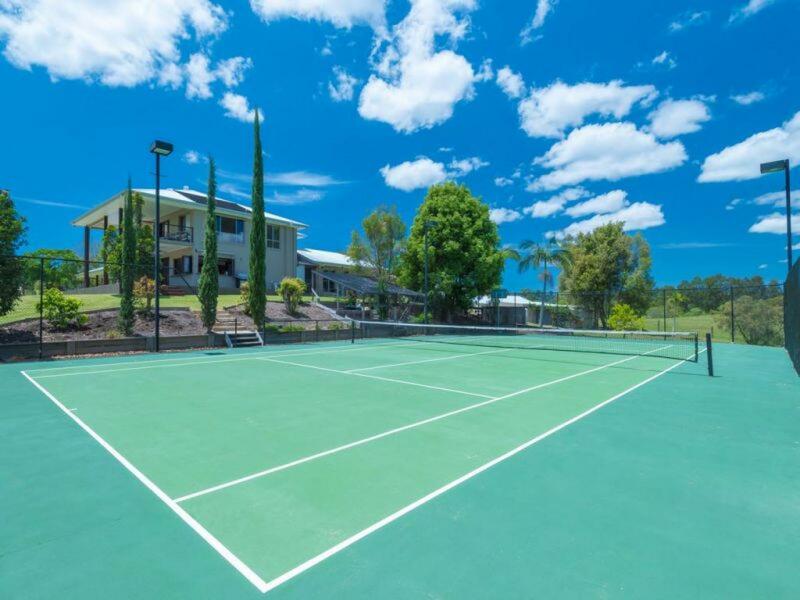 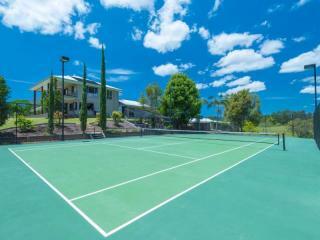 We need to mention the full size flood lit tennis court, 2m deep dam with pump, solar heated sparkling in ground pool with paved sandstone surrounds, solar panels, 4 large water tanks, and several mango and fruit trees. This is a superb property in a sought after location surrounded by nothing but peace and quiet and loads of natural beauty.